Too much mess, in my flat and in my brain – this weekends plan is to tidy everything. I returned from my travels to a backlog of post, but even though I still have a stack of letters to write I’ve at least caught up on my postcards! 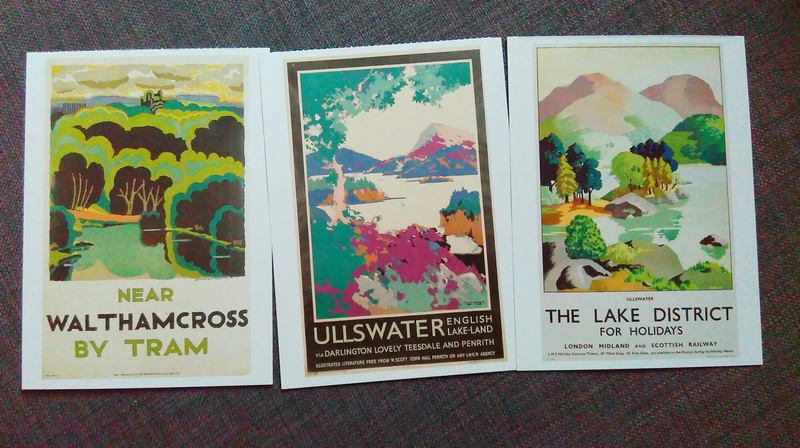 These vintage railway posters are off to postcard pals in USA, Russia and Taiwan. Hopefully my assorted postcard pals will like the artwork or the vintage theme. I think they’re great, I really like old railway posters 🙂 Can you tell a bought a whole book of these?! The interior of Derby cathedral is going to another postcard pal in Russia. I think I sent her a church exterior last time, I hope she’ll enjoy an interior too. 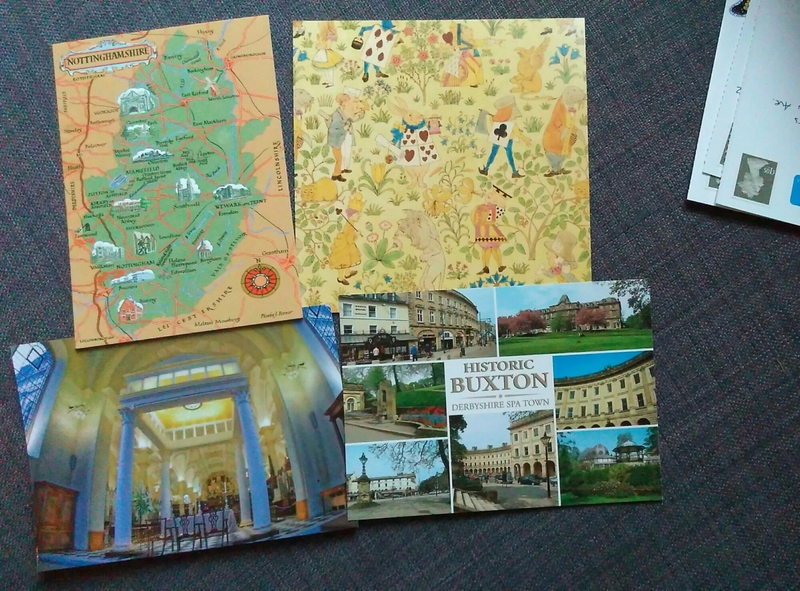 The Buxton card is also to Russia but to a Postcrossing address. There were no preferences listed so I chose a local card. And the Alice in Wonderland illustration is a card from the V&A that’s another Postcrossing draw to Russia. This Postcrosser likes books and children’s illustrations so I’m hoping this card will be a success. 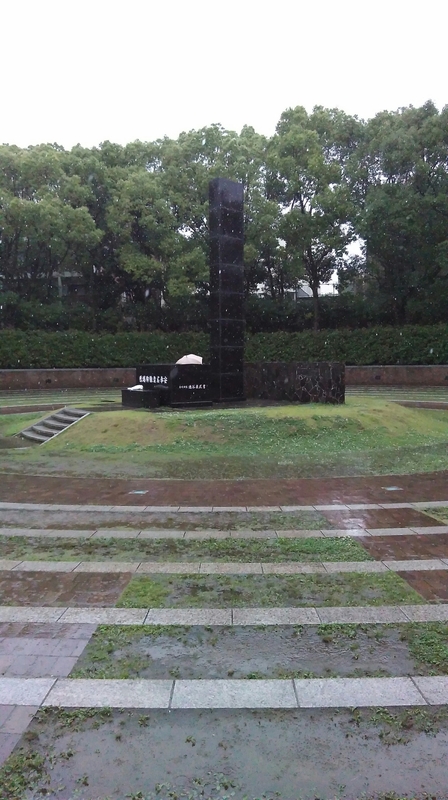 A few more pictures from the end of my trip. 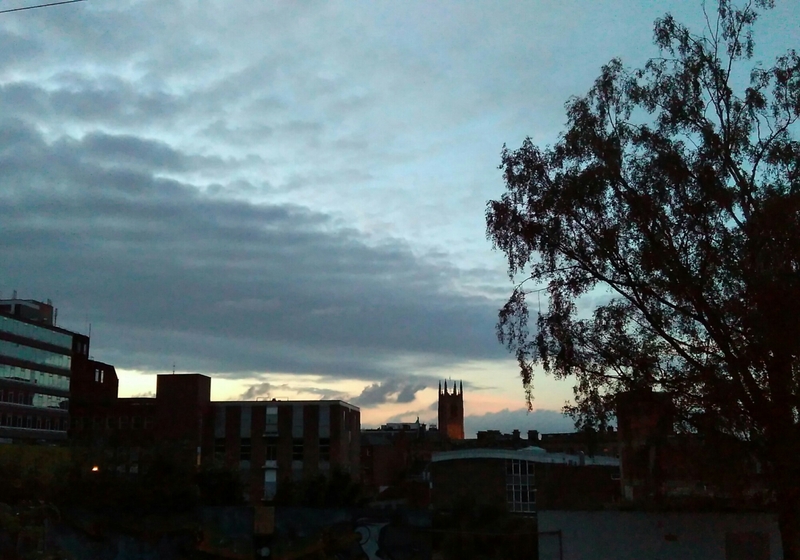 I’m now back home with laundry and leaflets all over the floor, and it’s already feeling like a bit of a dream… Back to work on Monday, and I’ve got a bag of strangely flavoured Kit Kat’s for the office! 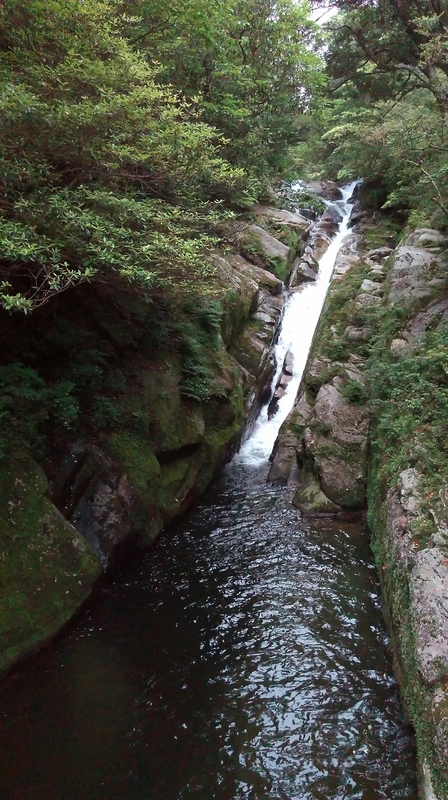 Yakushima is a small island to the South of Kyushu. 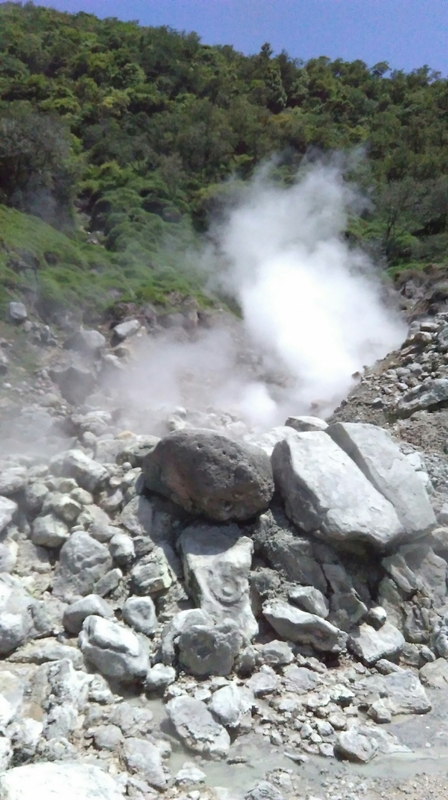 It’s mainly National Park and UNESCO world heritage site, ancient forests with thousand year old trees, and views of smoking offshore volcanoes! 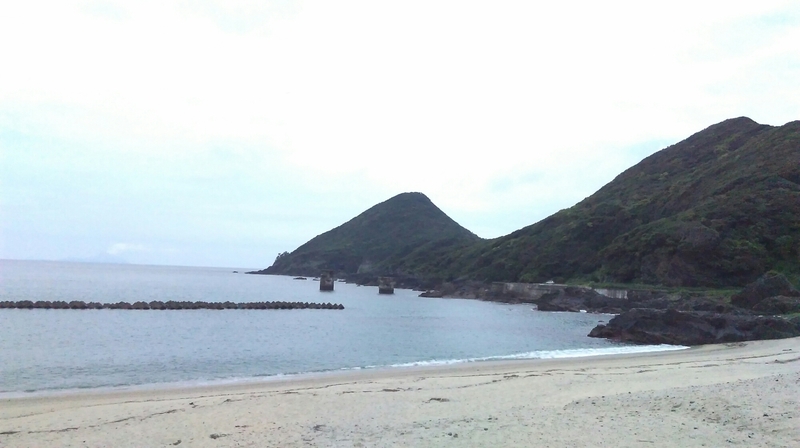 It’s a beautiful and wild place. 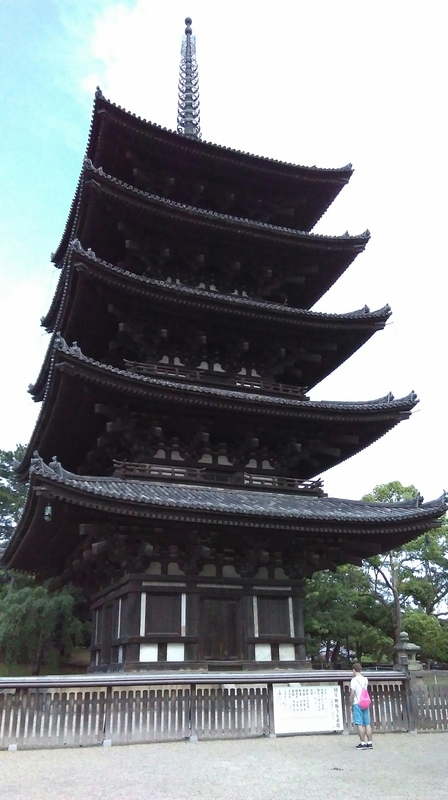 Nara is an ancient capital of Japan and full of temples, shrines and deer. 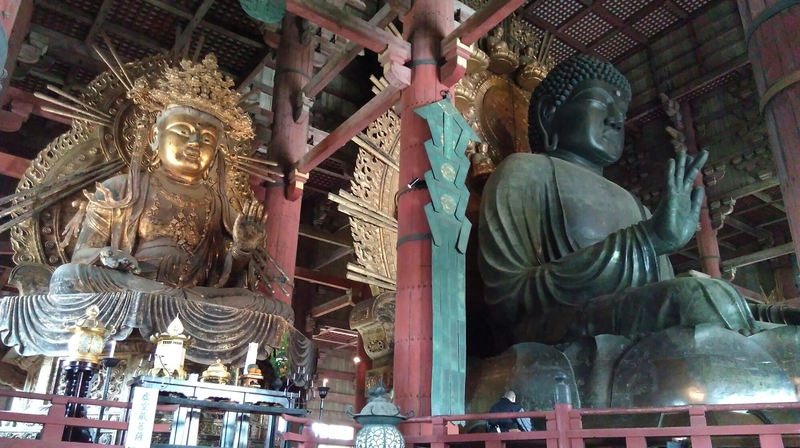 The big attraction (literally and figuratively) is the 16m tall Great Buddha, the largest in Japan. While I was there the monks were circling and chanting, it felt like a very special place. The deer are the messengers of the gods that carry people’s prayers, they’ll also eat anything and chase tourists for food! 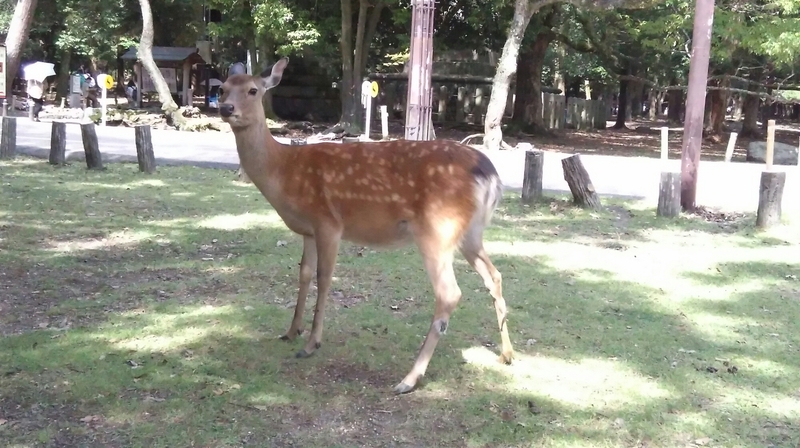 There’s numerous sellers of deer biscuits in the park with deer gathered around and tourists trying to bribe deer for good photos 🙂 The deer are so calm, I saw people stroking them and posing next to them, but there are warning signs around because they are still wild animals. 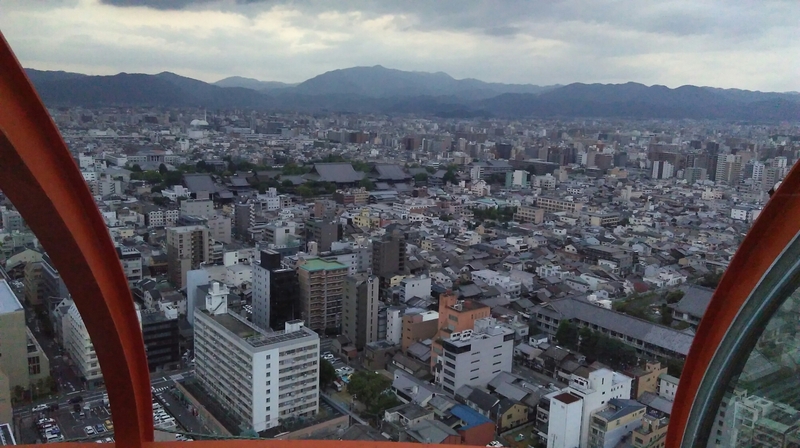 Late afternoon views of Kyoto with temples. 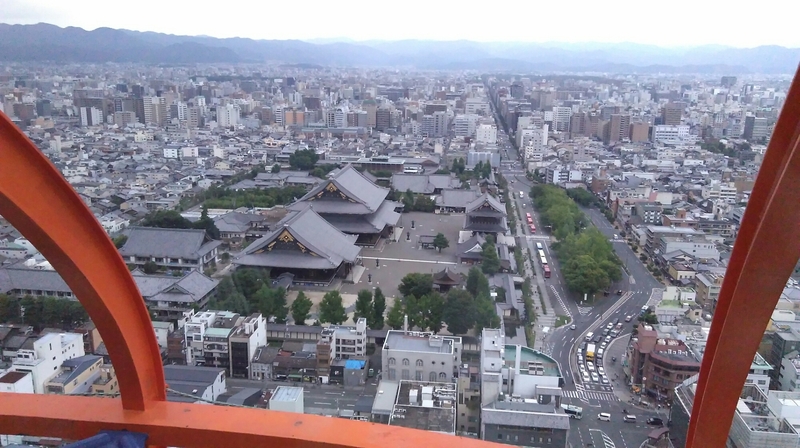 So many temples! I booked my last hotel in Tokyo on one of the upper floors of a fancy hotel. I then spent the entire evening admiring the view! 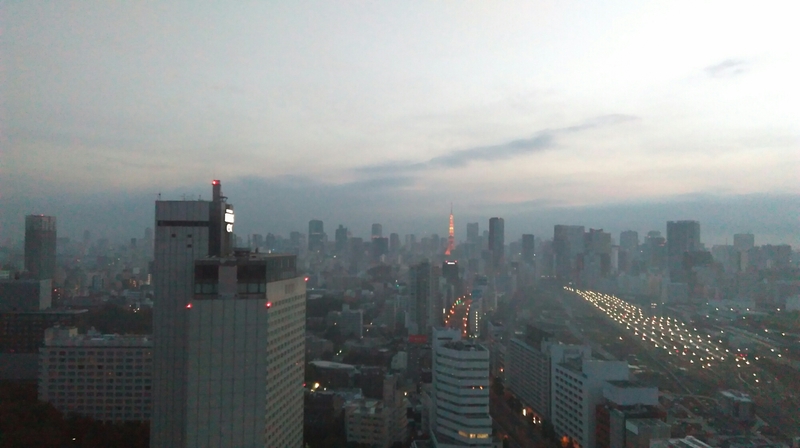 The orange spike centre back of the picture is the Tokyo tower, and to the right are the train tracks. 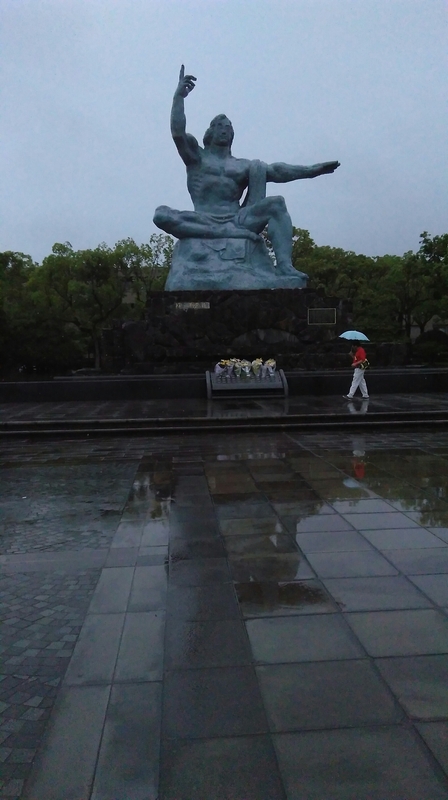 I have a lot of complicated feelings about Nagasaki, but the main feeling is how could anyone allow that to happen? 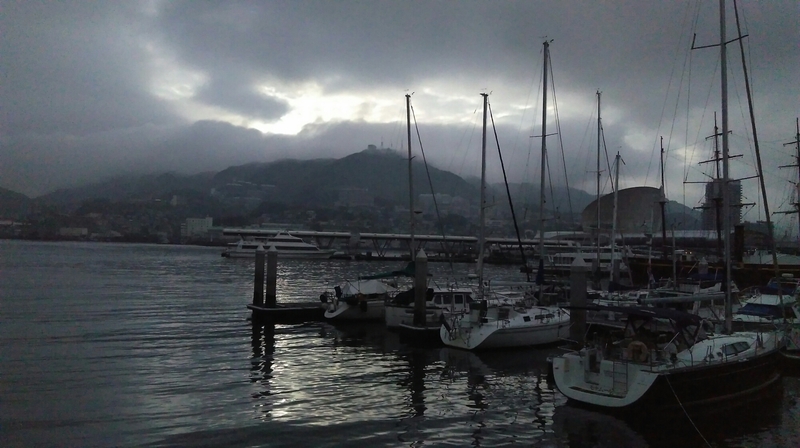 The visit has definitely solidified some views I didn’t even know I had. 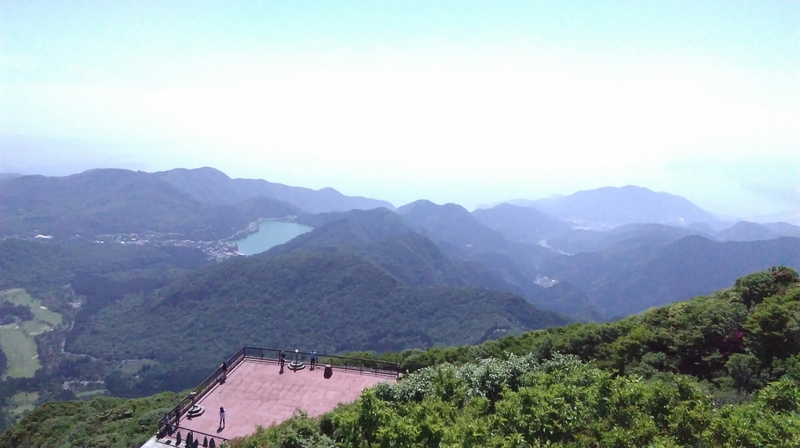 A lot of Kyushu island looks like this, wild green mountains. 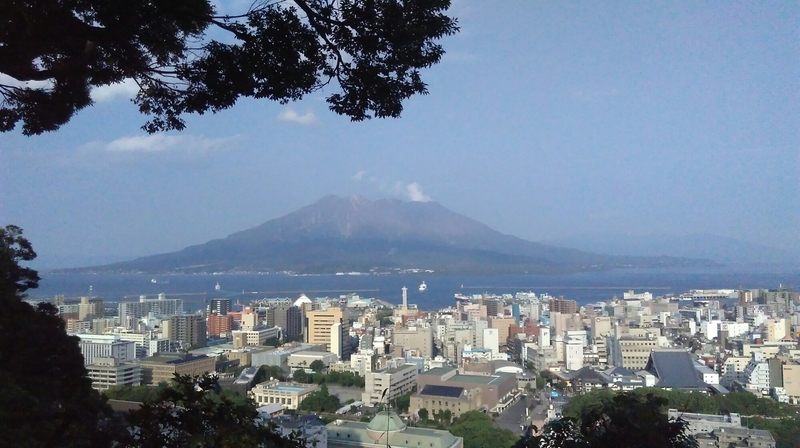 Kagoshima is 4km from Sakurajima, that’s a little too close to a smoking volcano to be entirely comfortable!